No Fenders -Formula 1, IndyCar and A Whole lot more..: Double Vision? Yet when I watched the race for a second airing, when SPEED replayed the race in the afternoon – for reasons unknown; they felt compelled to cut OUT both McLaren drivers’ comments... Did anyone else notice this? What Gives SPEED! 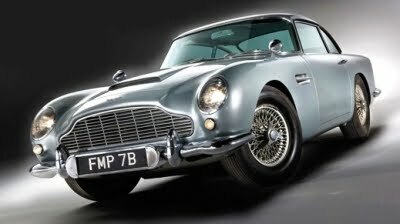 And speakin’ of Bond, did Y’all see what Mr. Connery’s Goldfinger Auston Martin DB5 fetched in a recent auction?